Adam Lambert didn't play Freddie Mercury in 'Bohemian Rhapsody' because he doesn't feel he could accurately recreate the late singer on screen. 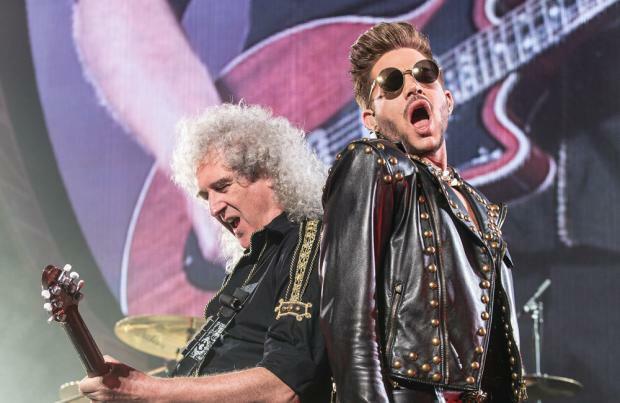 The 37-year-old singer has been touring with the active members of Queen, guitarist Brian May and drummer Roger Taylor, since 2011 filling in for original frontman Freddie – who died in 1991 at the age of 45. Although he is confident of providing his own take on Freddie's vocals on stage he ruled himself out of playing the flamboyant singer on screen in the biopic. Speaking to 'Entertainment Tonight', he said: "I don't look like Freddie. I don't sound like Freddie. I sound like me." Adam has nothing but praise for Rami Malek whose portrayal of Freddie earned him the Best Actor Oscar, because his recreation of him was so good. He said: "Rami looks amazing. He's a great actor. From what I understand, they used pieces of the actual studio recording of Freddie and Marc Martel, who is an impersonator of Freddie Mercury, to do some of the other vocal stuff. So it's really about recreating Freddie. So no, it wouldn't have been me." Adam did appear in the film with a brief cameo as a truck driver, who Freddie locks eyes with while on the phone to his wife Mary (Lucy Boynton). The musician added that it was "really exciting" seeing how Queen created their songs, having toured with Brian, 71, and Rodger, 69, for eight years. He said: "What I love is the way that they show the music coming together with the band creating a song. I found that really exciting having now played with Brian and Roger for the last few years. Watching that process be recreated, I thought was really brilliant."